2016 NBA Playoffs. Miami Heat vs. Charlotte Hornets. 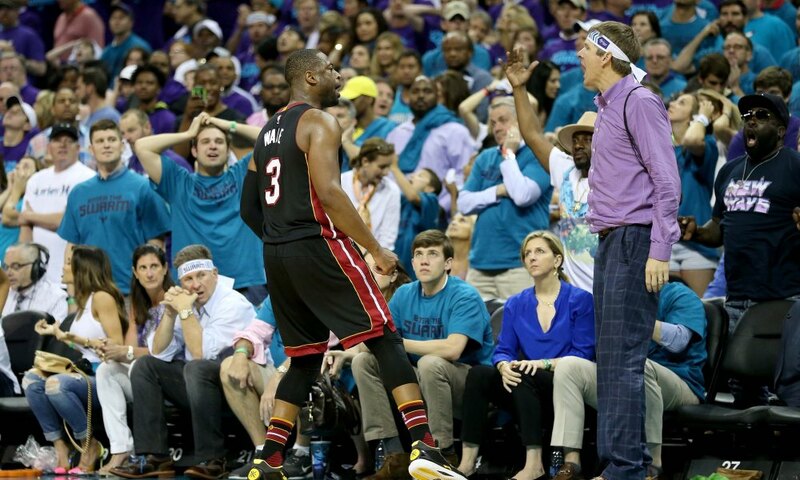 Dwyane Wade dominated the final minutes of Game 6 and rubbed it in the face of a heckling Hornets fan, infamously known as ‘Purple Shirt Man’. Late in the fourth quarter, Wade did have enough of the guy’s constant insults, and decided to have some revenge on the court. After Wade hit the dagger, he locked eyes with Purple Shirt Man, and Mark Jackson perfectly commented the situation. This was one of the best moments in that series. Now, over one year later, Dwyane Wade was asked what he was actually saying to Purple Shirt Man back then. 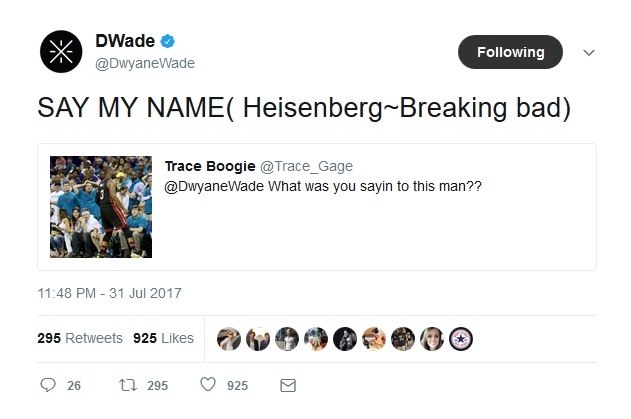 Wade had the perfect response.